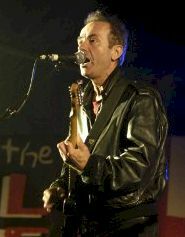 Surrey legend Hugh Cornwell will be playing this year’s Weyfest — 2015. Cornwell is one of the UK’s finest song-writing talents and accomplished live performers. He is the original guitarist, singer and main songwriter for The Stranglers. His classic songs include Peaches, No More Heroes, Golden Brown, Always the Sun, Grip, Nice N Sleazy, Duchess and Skin Deep. Hugh and his band will be appearing on the main stage at Weyfest on Saturday 5th September 2015, directly before The Waterboys. Weyfest has announced that THE TROGGS are no longer able to appear at the festival this year due to Chris Britton being unavailable for personal reasons. We wish Chris all the best.